The risk of fraudsters accessing your bank account is very real. You can keep your account safe from online fraud by taking proper precautions. 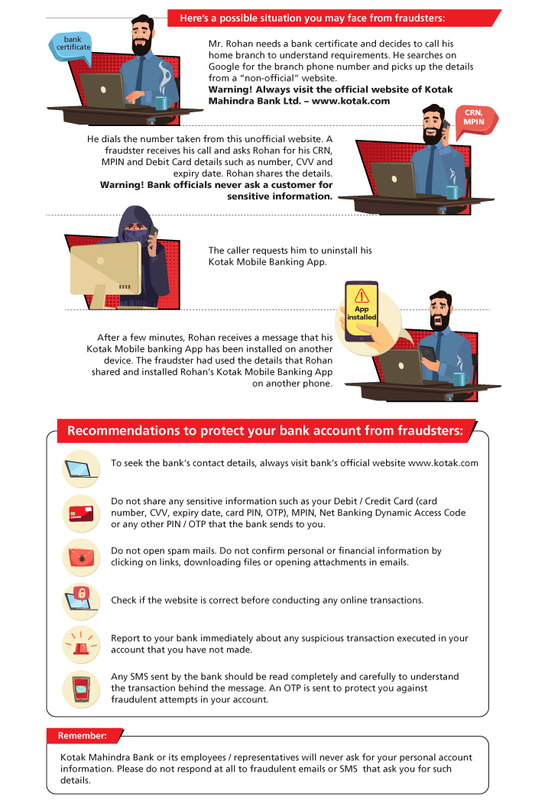 One way is to always use the phone banking number mentioned on the bank’s official website (www.kotak.com) to seek any information, or to make transactions. For any other queries, please contact our 24-hour Customer Care at 1860 266 2666. Local charges apply.